If you’re looking for a high-quality 100% cotton tub mats, these are the are for you. These lush tub mats are thick with dense, closely woven double-loops. 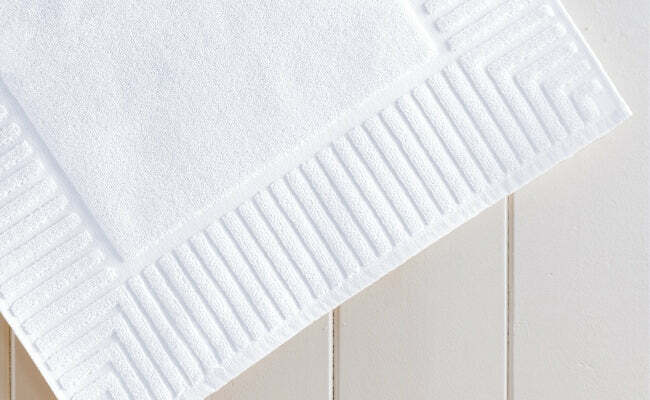 Ultra-absorbent, with an elegant ribbed bottom border. Machine washable. Machine wash warm water, warm or cold rinse. Do not rinse in hot water. Tumble dry low or alternate between air and heat drying. Occasionally wash with 1/4 cup peroxide per load, do not use fabric softener.